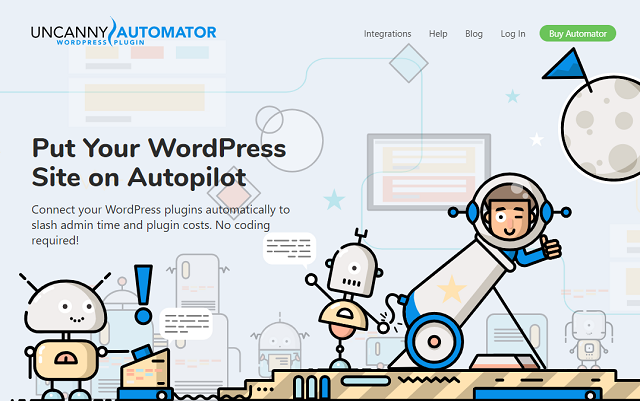 In my Uncanny Automator review, I’ll show you how this nifty plugin can help you automate…well, a ton of different things at your WordPress site. You can use it to improve your marketing, make administrating your site easier, and lots more. If you like Zapier, or if you just like saving time with automation, you should definitely keep reading. If you’ve ever used Zapier or IFTTT, you don’t really need this explanation. 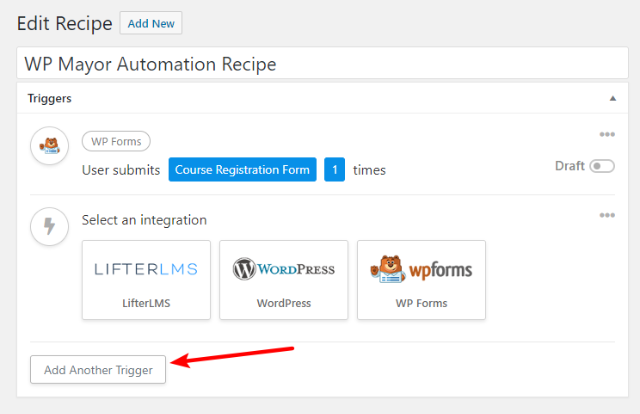 Uncanny Automator is “that” but applied to WordPress plugins. It even uses the same terminology, which makes it really easy to get started. However, I realize that not everyone is familiar with those tools, so let me go into a little more detail about what Uncanny Automator does for the uninitiated. One or more actions – an action is what happens after the trigger condition(s) is met. For example, an action could be “Send that user an email”. By combining these triggers and actions, you create this sort of If/Then structure (that’s why IFTTT stands for If This, Then That). If a new user joins XYZ BuddyPress group, then send that user a welcome email to the email address in their WordPress profile. That’s helpful enough by itself, but Uncanny Automator also lets you use both multiple triggers and actions (depending on your plan). 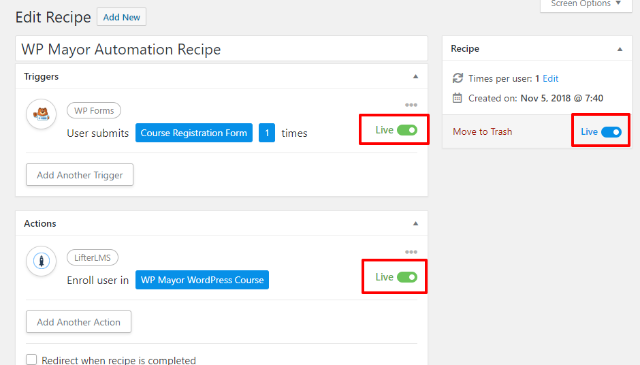 If a new user joins XYZ BuddyPress AND publishes an activity stream message, then send them a different email AND add them to ABC MailChimp list. What Plugins Does Uncanny Automator Support? 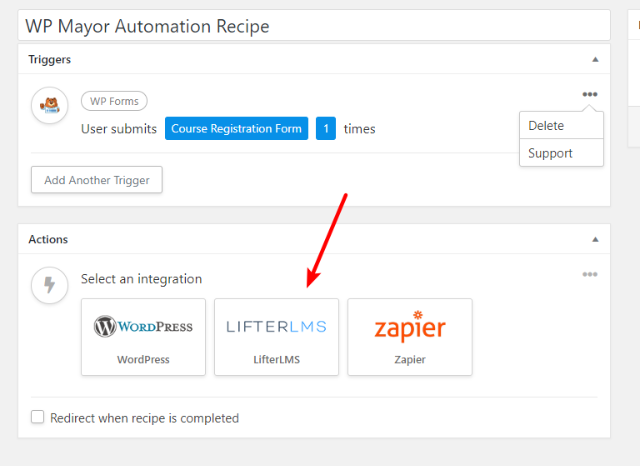 At the moment, Uncanny Automator supports 16 different plugins, some WordPress core functions, and Zapier webhooks (which let you connect to any app at Zapier). Below, I’ve listed the currently supported plugins. 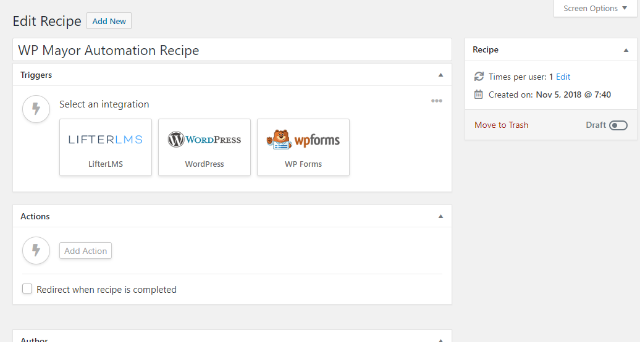 You can also view all the integrations here. 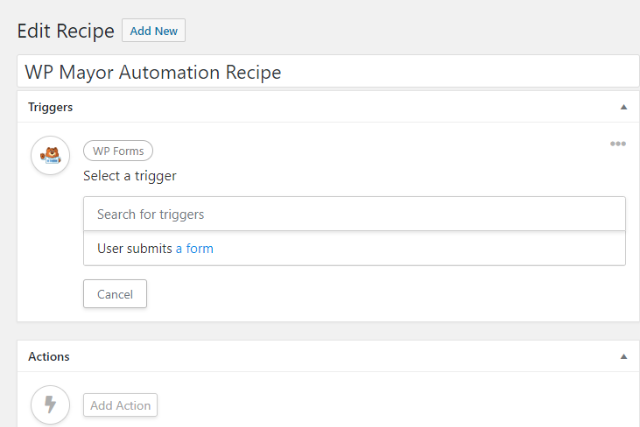 Each plugin’s page also shows the specific triggers/actions that are available. Finally, you can connect any of those plugins above to any of the 1,000+ apps on Zapier using webhooks. I’ll dedicate a special section to this integration later in this Uncanny Automator because it’s one of the unique things about this plugin. 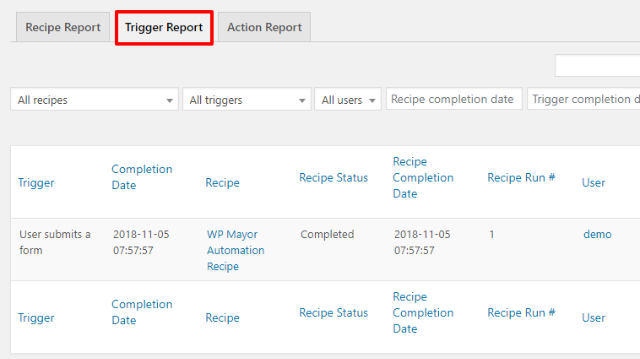 In this fictional scenario, let’s say that I want to automatically add users to a WP Mayor WordPress course after they submit a specific WPForms form. 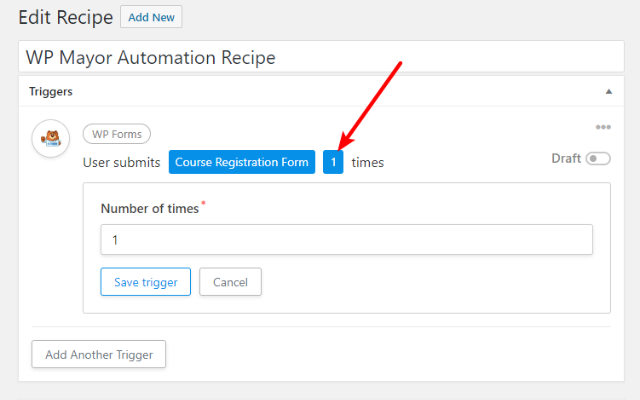 There aren’t any general settings to configure with Uncanny Automator, so you can jump straight into creating a recipe by going to Uncanny Automator → New Recipe. 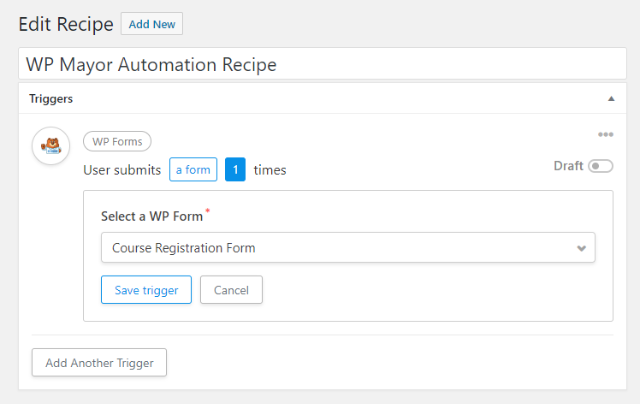 For this example, I want WPForms to be the trigger. Once you set up the trigger(s), you’ll configure the actions, which is what happens after the trigger conditions are met. 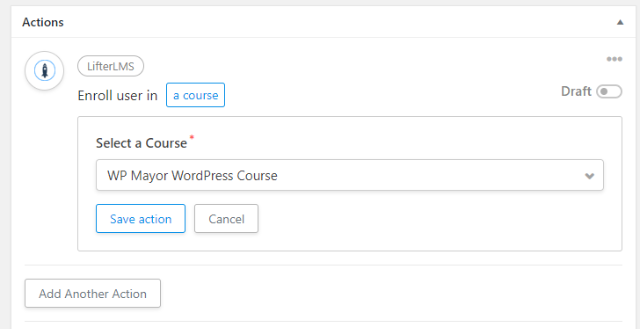 For this example, I want Enroll user in a course. One action that deserves special attention is the Zapier action. 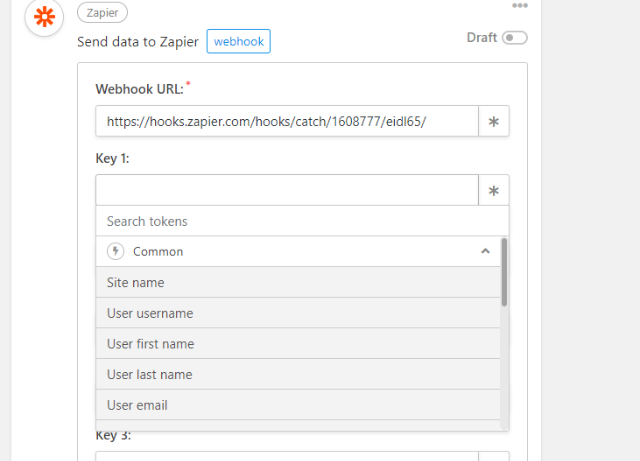 If you choose Zapier, you’ll be able to connect Uncanny Automator to Zapier Webhooks. 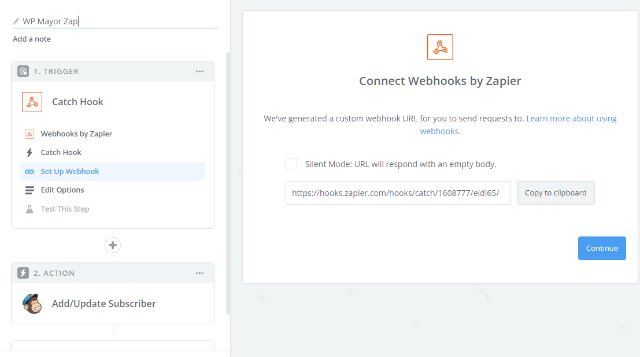 In order to use this action, you’ll first go to the Zapier interface and build your recipe by connecting a Zapier webhook to any one of the 1,000+ apps that Zapier supports. 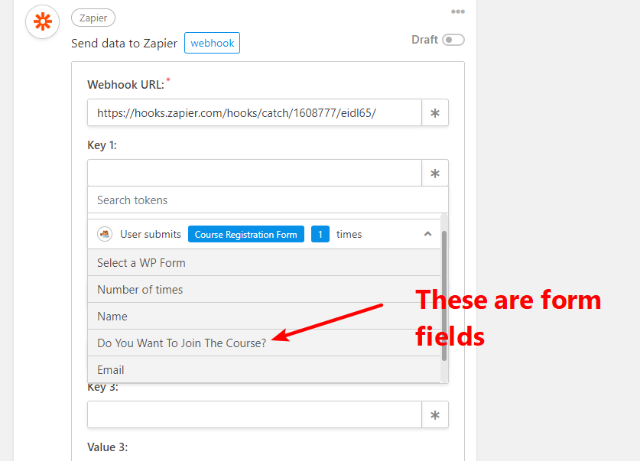 Essentially, these let you pass additional information to Zapier for it to use, which Uncanny Automator will help you configure when you click on the asterisk. Again, you can pass up to 5 key/value pairs, so you can also do both at the same time. Obviously, you don’t want the robots taking over, so you’ll probably want to keep an eye on when your recipes are running and what they’re doing. To help you do that, Uncanny Automator gives you three different types of logs. And the Action Report does the same thing but for actions. You can also automatically “prune” these activity logs after a certain number of days if you don’t want to store this information forever. Uncanny Automator has two different pricing tiers depending on what functionality you want. 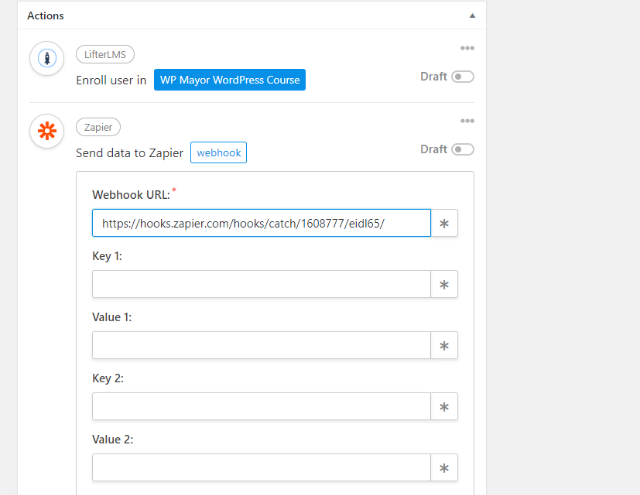 As an avid user of Zapier, I love this plugin. 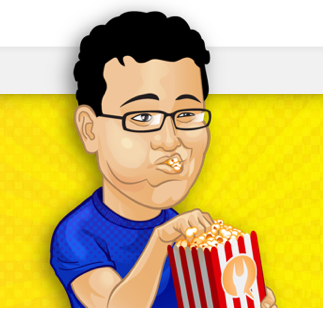 It lets you do so many helpful things without needing to write a single line of code. 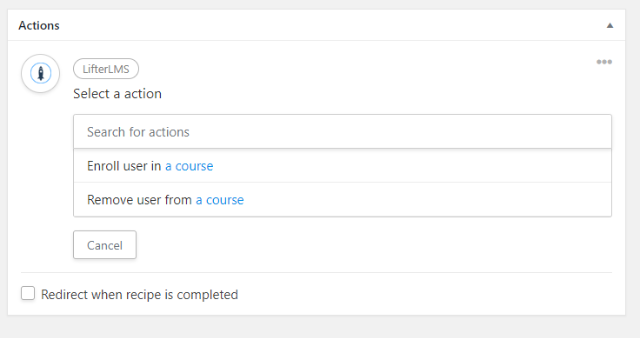 If you’re familiar with Zapier, you’ll have virtually no learning curve getting started with Uncanny Automator. And even if you’re not, it’s still pretty user-friendly, so you should pick it up in no time. While being able to connect different plugins to each other is plenty helpful by itself, the Pro version’s ability to connect to Zapier and pass additional information opens up a world of possibilities because of how many apps Zapier supports. 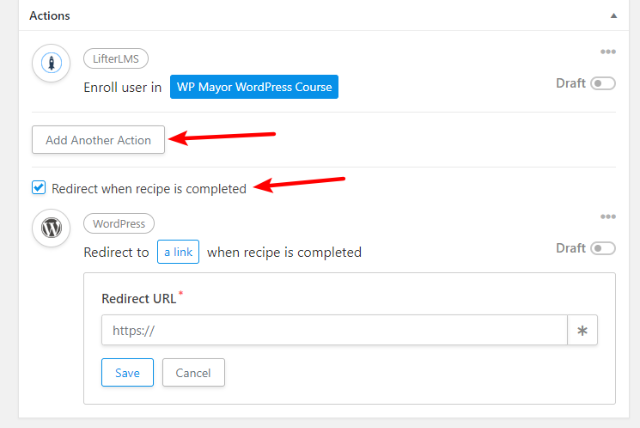 All in all, if you’ve ever wished that you could do “something” at your WordPress site automatically, you should consider Uncanny Automator and see if it can help you out. Again, the applications are diverse and it can help with everything from marketing to basic site administration. While there isn’t a free version, all of the plans come with a 30-day money-back guarantee, so you aren’t risking anything. Head over and check it out.